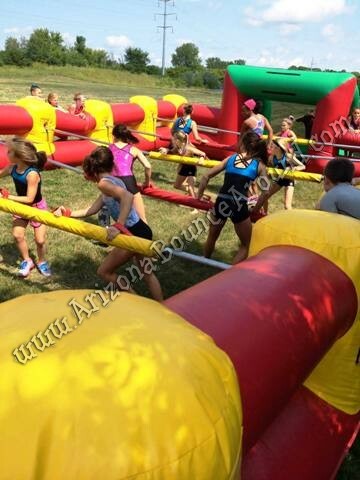 This Giant human foosball game rental price includes standard set up. Standard setup is considered a real grass area that we can stake into the ground or indoors. Within 80 feet of sufficient electrical supply. Delivery and removal within included delivery area with no restrictions for delivery, set up or pickup. 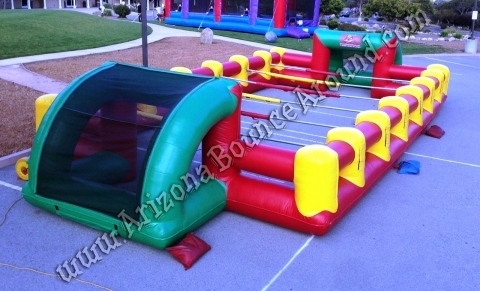 We do not install this human foosball game on dirt or sand but it can be setup on asphalt, concrete or artificial grass by adding sand bags to your order. 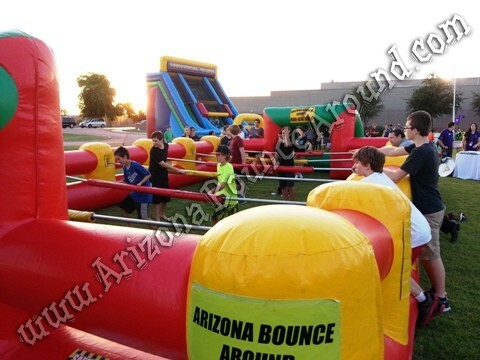 We also rent Giant Foosball Tables, carnival games, carnival rides and carnival booths to complete your carnival themed experience so call, click or come by today to have one of our party planners help plan your next event.